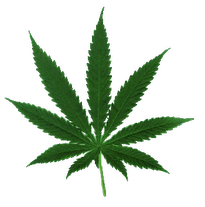 One very common question about pregnancy is what are the risks of marijuana use. A brief search through online forums reveals a sea of conflicting responses, ranging from categorical endorsement to "OMG-you're-terrible-for-asking-and-your-baby-is-going-to-die." I think the real answer lies somewhere in between. So I'm going to try to offer a rational, scientifically-based answer. I'll start by listing some of the risks that have been reported in the past. Then I'll discuss the potential problems with many of those studies. But in the end the answer is really "we don't know, but you probably should not test it out." Before that, it might be helpful to mention how marijuana affects the body and especially the brain. 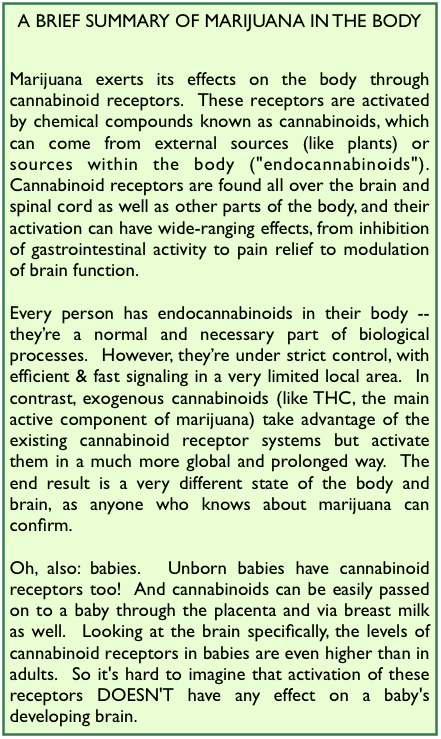 Actually, the lab I work in is very interested in the role of cannabinoids in the brain. Maybe I'll write more about that later! But for now just a quick summary (see box). This last factor is especially difficult to control for when you considering the discrepancies between reported vs. actual use as well as the possibility of marijuana contaminated by other drugs or pesticides. Confounding variables AFTER pregnancy are also a concern. How involved and nurturing are marijuana-users compared to other parents? In what ways does the home environment differ? All of these factors influence a child's development, and it's very difficult to attribute any outcome to marijuana specifically. Not impossible, but very difficult. So drawing any firm conclusions requires reproducible evidence from multiple carefully-controlled study. Using that criteria, the effects of marijuana are absent or at least more subtle. Certainly the most frightening & dramatic adverse effects aren't supported (although online forums incite plenty of fear by propagating that information). So with that in mind... Do I condone marijuana use during pregnancy? Definitely not. While I disagree with fear-mongering based on inaccurate information, I do believe that when it comes to the health of your unborn baby you can't be too careful. And while previous studies have produced inconsistent results, it's not unreasonable to expect that some effects do exist. In fact it would be very surprising if there were NO effects at all. We just don't know enough at this point to say for sure. 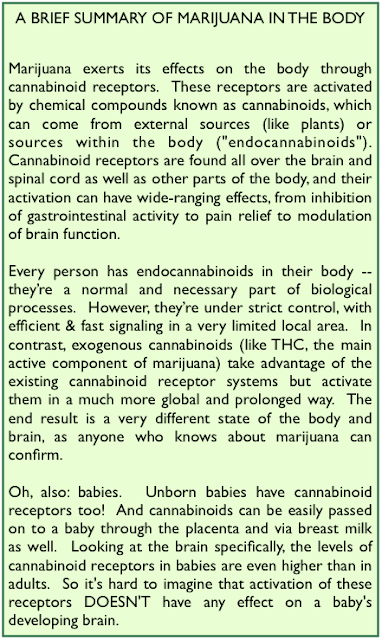 So if you're pregnant or breastfeeding, it's best to just abstain from marijuana altogether. Other propaganda effects result in not knowing how these results (rates of side-effects) compare across studies of other consumed products. How do these rates of the side-effects compare with use of other medications/drug-use (legal, illegal, well-intentioned or not)? If the rate of say, a high risk for low birth weight is remarkably lower or similar to that of consuming another substance, like caffeine, that's something to take note of. Also, is a threshold mentioned in any of these studies? (As in, you have an x% higher chance of having a baby born with a low birth weight, but the low birth weight is only slightly lower than what's considered normal or drastically lower? )?